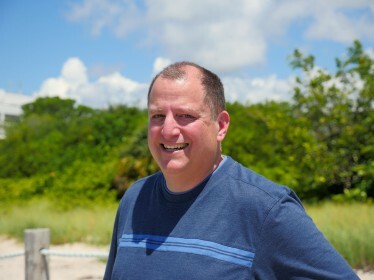 Dr. Ben Kirtman, program director of CCS’s Climate & Environmental Hazards focus area, and professor of atmospheric science at the Rosenstiel School of Marine and Atmospheric Science (RSMAS), has been appointed director of CIMAS, the National Oceanic and Atmospheric Administration‘s (NOAA) Cooperative Institute for Marine and Atmospheric Studies. Based at RSMAS, CIMAS brings together the research and educational resources of ten partner universities to increase scientific understanding of Earth’s oceans and atmosphere within the context of NOAA’s mission. Dr. Kirtman will replace UM research professor Peter Ortner, who is stepping down. Dr. Kirtman, who has been with the RSMAS for nearly 10 years, is a climate modeler who uses complex Earth system models to investigate the predictability of the climate system on time scales from days to decades and to study the influence of tropical variability on mid-latitude predictability. He was one of the first to develop an El Niño/La Niña prediction system using sophisticated climate models and currently leads a team of government laboratory researchers, academicians, and operational climate forecasters in developing the North American Multi-Model Ensemble (NMME) prediction system. 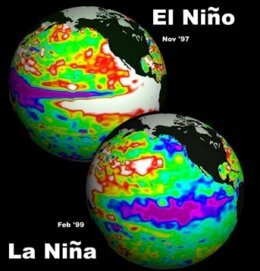 This new prediction system has been issuing forecasts in real-time since August 2011, and was instrumental in predicting continuing La Niña conditions in the tropical Pacific and the associated impact on climate around the globe. The NMME became an official NOAA operational system on May 10, 2016. The author of more than 120 peer-reviewed publications, Dr. Kirtman is the executive editor of the journal Climate Dynamics and has received funding from the NSF (National Science Foundation), NOAA, the Department of Energy, NASA (National Aeronautics and Space Administration), and the Office of Naval Research. Dr. Kirtman is also a coordinating lead author of the Intergovernmental Panel on Climate Change’s (IPCC) 5th Assessment Report as well as a member of several national and international scientific panels and working groups. CIMAS’s current research priorities, which include improving hurricane forecasting, facilitating the implementation of ecosystem-based ocean management, predicting climate on increasingly short time scales, and supporting the UNESCO IOC’s (Intergovernmental Oceanographic Commission) Global Ocean Observing System (GOOS), are expected to continue over the next five years. In May 2015 CIMAS received a renewed award of up to $125 million to fund the consortium’s activities over the next five years. The renewal award, and increase in funding, was based upon an “outstanding” rating CIMAS received during the current award period’s performance review (2010-2015) by a NOAA Science Advisory Board subcommittee. UVI (University of the Virgin Islands). Unique new research facilities now available to NOAA through CIMAS include the Rosenstiel School’s SUrge STructure Atmosphere INteraction (SUSTAIN) facility (pictured below), which is capable of simulating 3D wind-wave flow and surge produced by category 5 hurricane force winds, and Nova’s Center of Excellence for Coral Reef Ecosystems Research (second photo).